Finding a stag weekend activity to keep all of the lads happy can be a bit of a challenge, which is why Footgolf has become such a massive hit. It combines two of the world’s most loved sports and gives the non-golfers in the group a chance to compete on level terms with their club-swinging buddies. Footgolf is played on specialised golf courses using size 5 footballs. The object of the game is to drive, chip and tap your ball around the course with the least number of shots, using only your feet. You will experience all the usual golfing hazards such as bunkers, water, trees and the rough as well as working out the lie of the green before attempting to sink your ball in the hole. 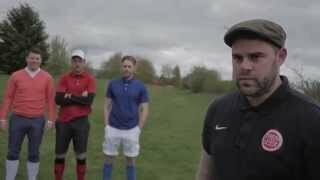 View our Footgolf video and get an idea of what to expect on this activity.